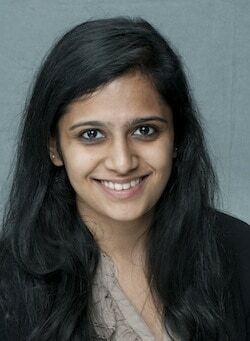 Keya joined the Acumen Fund Mumbai team as business associate in June 2011. As business ssociate, she works most closely with the Business Development team but also supports the development of communication and talent functions as well as general office operations. Prior to joining Acumen, Keya completed an extended internship with the Clinton Global Initiative in New York. Her entrepreneurial experience comes from co-founding and helping build an organization called iVote to encourage students to register themselves to vote in India. She holds a BA in Economics from St. Xavier’s College in Mumbai and an MSc in Global Governance and Diplomacy from St Antony’s College, University of Oxford. This year, in the month of Diwali, which is celebrated by lighting several diyas to bring in the new year, households all across India and the world are being illuminated by more than just diyas – d.light is celebrating their ten millionth customer served, and ten millionth house – or business in the case of Asif – that now has access to a clean, reliable, durable and most importantly, affordable source of light. Acumen Fund invested in Husk Power Systems (HPS) in 2010 to help scale their innovative business model of using discarded rice husks as a source for rural off-grid electricity generation. HPS has since expanded to over 90 plants all over Bihar, India, and has launched Husk Power University (HPU), a technical training institute for future mechanics and operators for HPS. I spent a day there. At the Sankalp Summit 2012 last week in Mumbai, the opening plenary, “Reimaging Capitalism” set the tone for the following two days. The panel talked about the need to ‘reimagine’ capitalism, pushing us to conjure up creative definitions of how markets function and what they can do. What would it take to imagine markets being used as more than just a money-making tool?